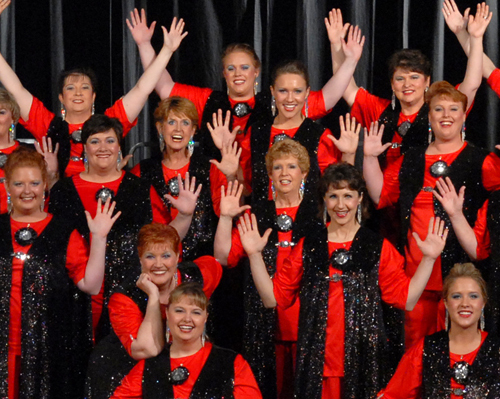 Pocatello Showcase Chorus is a performing and competing chorus and has been entertaining audiences for the past 57 years. We are a Chartered Chapter of Sweet Adelines Int'l which is a worldwide organization of 30,000 female barbershop singers. Our members have traveled from Idaho Falls, Shelley, Blackfoot, and the Marsh Valley area, to sing with our chorus every Thursday night. We compete every year in our Region which consists of seven states, Idaho, Montana, Colorado, Wyoming, Utah, South Dakota and Nebraska. We have medaled many times in years past and have been in the top three in the Small Chorus Division and in the top four and five overall. We have a program to train and educate guests and new members, in the artistry and finesse of performance. When Mary (our director) was asked to start a Sweet Adeline group, she responded with, “ Sure, what is it?” Shortly thereafter the La Re Mi Chapter was founded in Laramie, WY. She started as a singer, then soon became involved in Chapter Administration as Chapter Sec. and Chapter President. She was appointed Assistant Director and was invited to be part of the Region 8 DMA (Director of Musical Activities) Faculty. She eventually accepted the position as Chorus Director. 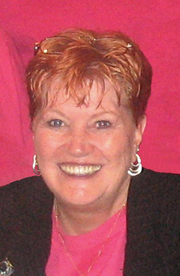 Her long career in Sweet Adelines began in 1968. Mary directed the chorus for approximately eight years. Vocal training at the University of Wyoming, University of Arkansas, and Idaho State University. Mary continues her own vocal training and also teaches voice. "Music is the language of the soul"
We are a non-profit organization we do accept donations and will give you a receipt for tax purposes.